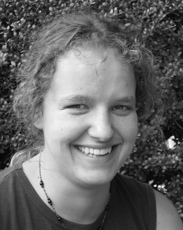 Gesine joined the Green Growth research team in 2013. At GCF she works mainly in the development of mathematical models to understand the transition dynamics between economic equilibria, as for example a possible transition between a brown and a green growth path. Different approaches are taken into account, as for example Ramsey-type intertemporal optimisations or (non-equilibrium) agent-based modelling. Working Papers: Mielke, J., Steudle, G. A. (2017). Green investment and coordination failure: An investors’ perspective. GCF Working Paper Nr. 1. Steudle, G. A., Yang, S., Jaeger, C.C. (2016). Price Dynamics Via Expectations, and the Role of Money Therein. GCF Working Paper Nr. 3.